A poll measuring the most and least active members of the European Parliament reveals that the leaders of the political groups are among the most inactive MEPs, in terms of parliamentary engagement. The MepRanking.eu poll measures each MEP activity by the number of questions, motions, reports, reports amended, opinions, speeches and declarations and is regularly updated according to the information made available by the European Parliament. In the largest political group, the European Peoples’ Party, the most active MEP is Giovanni La Via (Italy), who also ranks 9th among the total of 751 MEPs. Second in the EPP group is José Manuel Fernandes, who ranks 16th among the 751 MEPs. But EPP leader Manfred Weber ranks 204th in his own group of 219 MEPs, and 689th among the 751 MEPs. In the second largest group, the Socialists and Democrats (S&D), the most active MEPs are Nicola Caputo (Italy), who is also the most active among all the 751 MEPs. Second in the S&D group is Belgian MEP Marc Tarabella, who is also 2nd among all the 751 MEPs. The leader of the S&D group Gianni Pittella (Italy) however ranks pretty low in comparison. In the 191-member S&D group, Pittella ranks 147th, and 609th among the 751 MEPs. The ranking of the leader of the Party of European Socialists, Sergei Stanishev (Bulgaria), is even more disastrous. Stanishev is 189th in the 191-member S&D group, and 725th among the 751 MEPs. In the third largest group, the European Conservatives and Reformists (ECR), the most active MEPs are Emma McClarkin (UK), who also ranks 44th among the total of 751 MEPs, and Charles Tannock (UK), who ranks 62nd among the total number of MEPs. But ECR leader Syed Kamall (UK) ranks 54th in his own group of 71 MEPs, and 596th among the total number of MEPs. In the fourth largest group, the Alliance of Liberals and Democrats for Europe (ALDE), the most active MEPs are Ivan Jakovcic (Croatia), who ranks 5th among the total of 751 MEPs, followed by Izaskun Bilbao Barandica (Spain, Basque Country), who ranks 13th among the total number of MEPs. 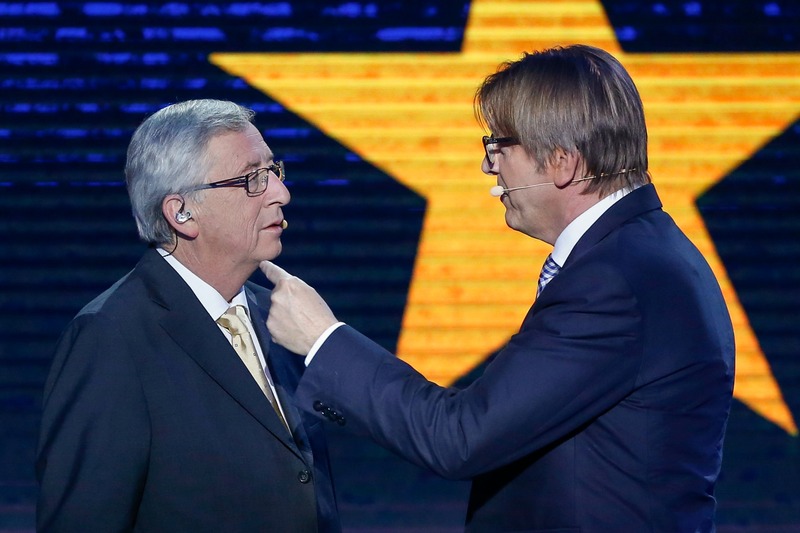 However, ALDE leader Guy Verhofstadt (Belgium) ranks only 62nd in his 68-member group, and 675th in the 751-member parliament, overall. In the fifth largest force, the leftist Confederal Group of the European United Left – Nordic Green Left (GUE/NGL) the most active MEPs are Joao Ferreira (Portugal), who ranks 12th among the total of MEPs, and Miguel Viegas (Portugal), who ranks 24th among the total of 751 MEPs. Gabriele Zimmer, leader of GUE/NGL, ranks only 42nd in her 52-member group, and 417th among the 751 MEPs. In the sixth largest force, the Green/EFA group, the most active MEPs are Ernest Uratsun (Spain, Catalonia), who also ranks 14th among the total of MEPs, and Karima Delli (France), who ranks 44th among the 751 MEPs. But the two co-presidents, Rebecca Harms (Germany) and Philippe Lamberts (Belgium), rank 18th and 47th in their 50-member group (respectively 278th and 660th among the 751 MEPs). The Green spitzenkandidat for the European elections Ska Keller (Germany) ranks 19thin her group and 285th among the total of MEPs. But the most dismal result appears to be that of Nigel Farage (UK), the leader of the eurosceptic Europe of Freedom and Direct Democracy Group. He holds the last position in his 48-member group and is 739th among the 751 MEPs. The most active MEPs in his group are Fabio Massimo Castaldo (Italy), who is the sixth most active MEP among the 751, followed by Ignazio Corrao (Italy), who is eight among the total number of MEPs. Following the publication of this article, S&D leader Gianni Pittella tweeted “Because we are Groups’ Presidents and our activities aren’t measurable only through the MEP ranking’s criteria”. His tweet was ‘endorsed’ by liberal leader Guy Verhofstadt.